and field meet. Photo by Dan Chamness. 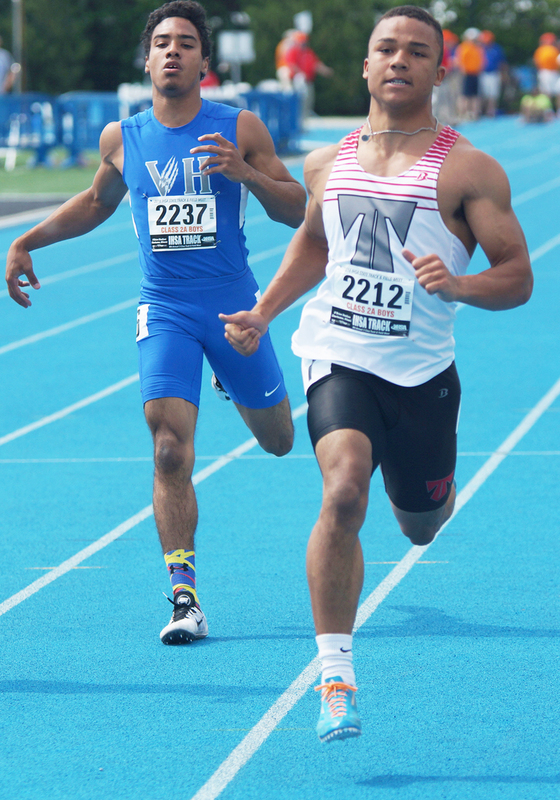 (Times-Tribune) - 6/1/2016 - Five Triad athletes went to the Class 2A state track and field meet last week, and all five came back with at least one medal. 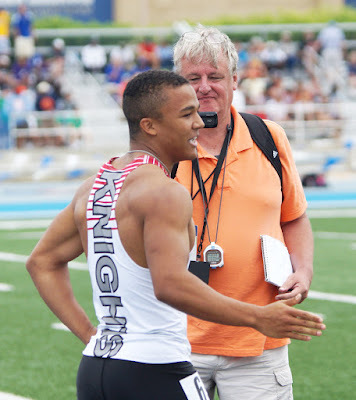 Senior Adam Nelson paced the Knight contingent, winning the 100-meter dash and making up a quarter of the school's 4 x 4 100-meter relay team that finished fifth. In the 100-meter dash, Nelson clocked in at 10.72 seconds. For the full story by Sportwriter J.W. Campbell, see the June 2 edition of the Times-Tribune. Photos are by Dan Chamness at collegereportonline, and are used with permission. by a reporter following his win in the 100-meter dash.